‘Everybody want the key and the secret to rap immortality like I’ve got. Well, to be truthful, the blueprint’s simply rage and youthful exuberance,’ Eminem raps in Rap God. Me? I’m a product of Rakim, Lakim Shabazz, 2Pac N-W.A, Cube, hey, Doc, Ren, Yella, Eazy, thank you, they got Slim. Not too shabby right? Just reading it slowly is impressive. Imagine having to rap it at thrice the speed. Scrap that. Imagine having to relay it through sign language. Now THAT takes skill. No offence, Slim. 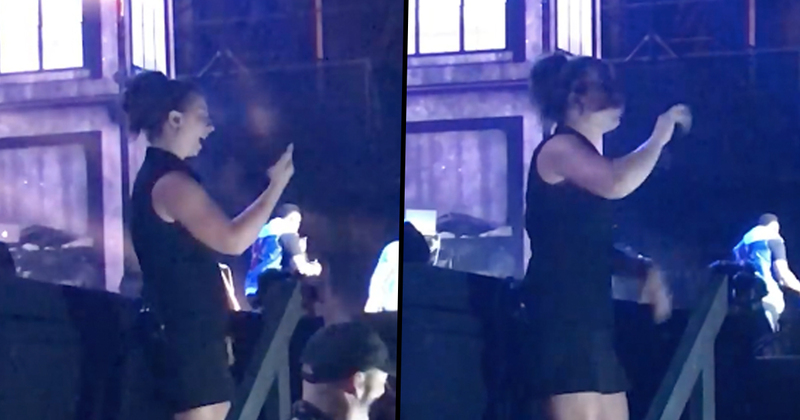 Yep, a video has gone viral of a sign language translator beside Eminem’s grand stage, converting his bars into visuals and it’s a great watch. The woman, named Holly Maniatty (if a Reddit thread is anything to go by), has gone viral thanks to the video. Anyway, let’s move on to the man himself. 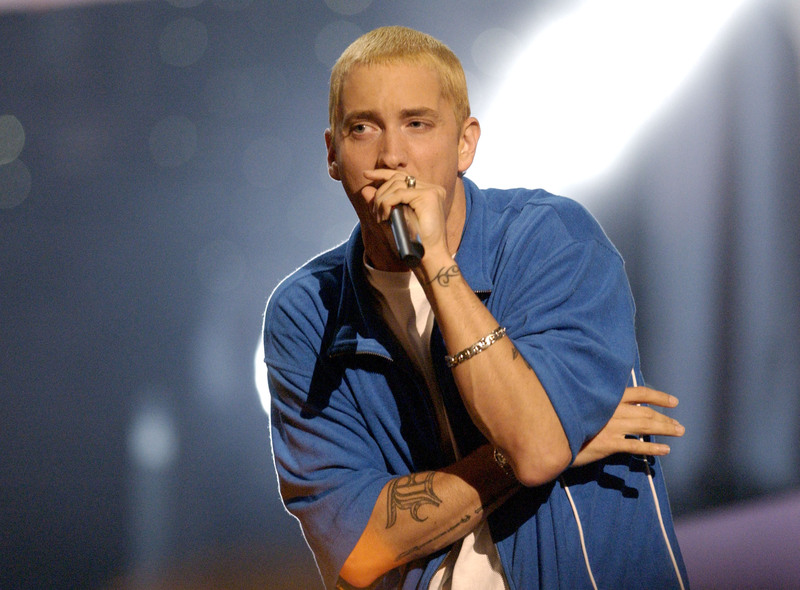 Eminem. A rapper who’s sold an eye-watering 172 million albums worldwide. The star celebrated being 10 years sober and clean from drug and alcohol addiction last month. 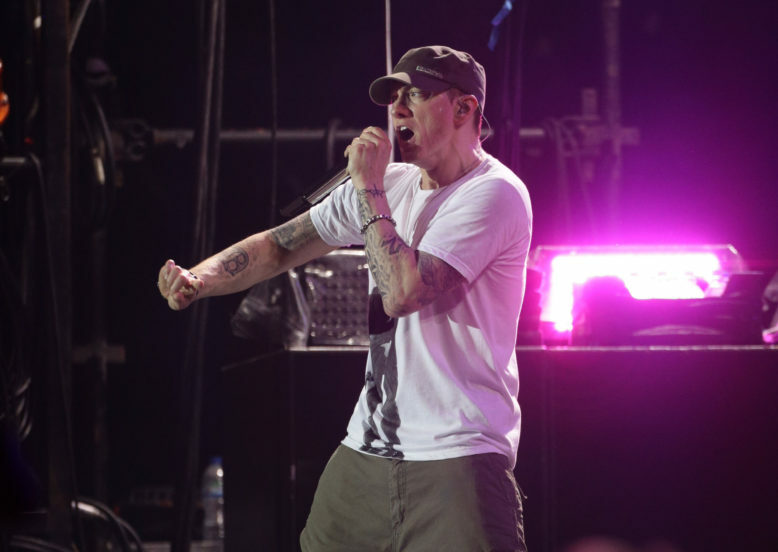 45-year-old Marshall Mathers shot to global fame in the early 2000s but he’d already struggled with substance abuse problems while battling to make it as an artist. Ten years clean is an incredible achievement and rightly, his Instagram post gathered over one million loves. Speaking to The Fix, Eminem revealed how, at his lowest point, drug addiction left him hours from death. He stated he got hooked on Vicodin pills, and at the height of his addiction, was taking up to 20 pills a day. His near-fatal overdose prompted him to get clean, but he relapsed after a month. [I was] not sleeping, not even nodding off for a minute! Eminem’s story shows, no matter how rich or successful you become, addiction and other issues can still take hold of your life. And getting clean is the same brutal process for anyone, no matter where you’re from.